No, this isn't about the William Buckley novel of that name. This is about the new Netflix show Marco Polo that was made available today. Is anyone else watching? Mild spoilers. I'm two episodes in right now and the show is pretty much what I expected from the trailers. The weakest part of the show to me is Marco himself. He's not a particularly interesting character yet and his role so far is mostly observing things. 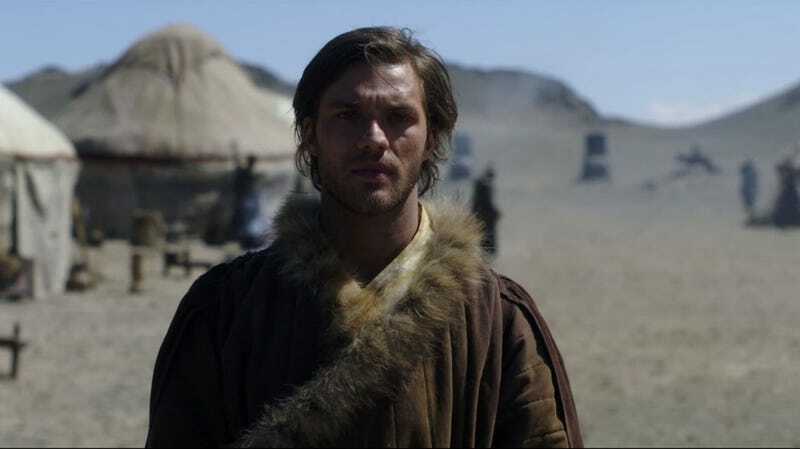 The show so far is more about Marco Polo's master while he's in the East, Kublai Khan. He has to deal with threats internal and external as his forces attempt to capture a critical fortress city. And of course there are machinations going on inside the besieged city as well. All this stuff is what's keeping me watching. Maybe at some point Marco himself will get interesting as well. Here's the trailer if you haven't seen it.